LTDMLA series are ultra-high power diffuse LED strobe illuminators combining a dome light and a low angle ring light. 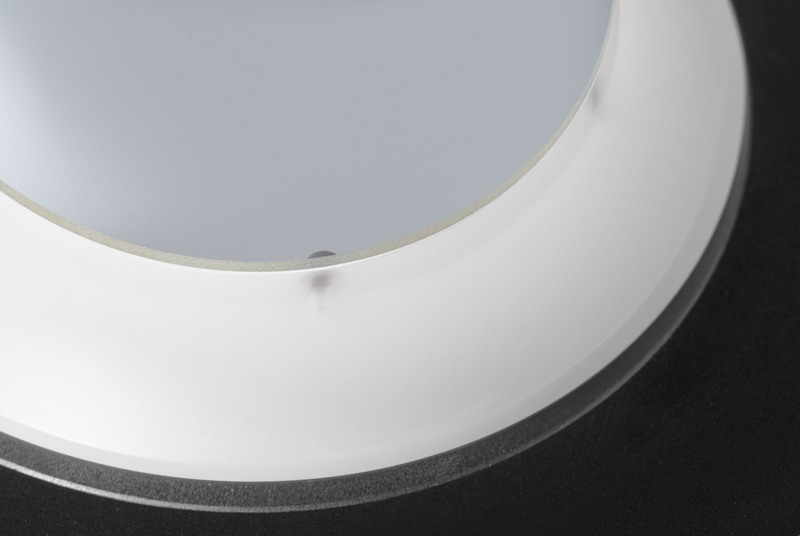 This solution provides two different illumination types in a single, compact, easy-to-integrate system: the dome unit provides non-directional diffused light that can be used to homogeneously illuminate complex shapes with curved and shiny surfaces, effectively eliminating glare and shadows. 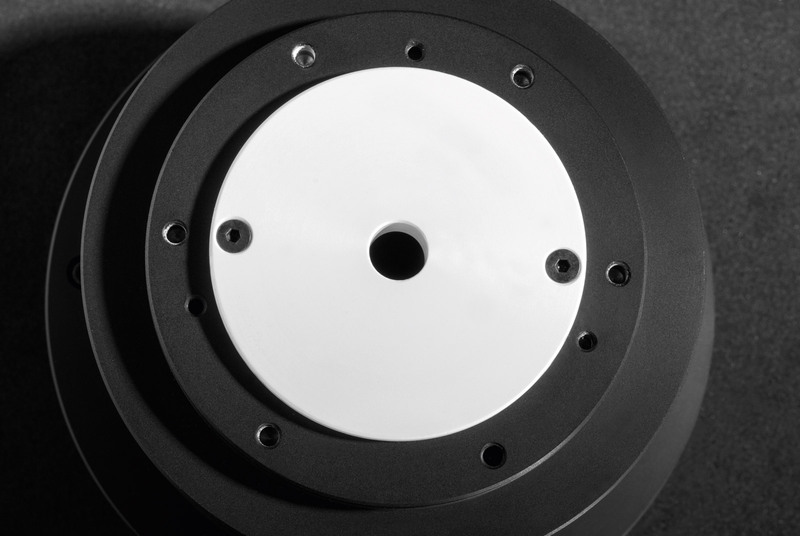 The low angle ring light unit provides darkfield lightning that can be used to cast shadows, greatly emphasizing surface irregularities, scratches and other details. LTDMLA illuminators operate exclusively in strobe mode: the reduced heat generation guarantees extended LED lifetime and makes LTDMLA the perfect choice to illuminate very fast moving objects. 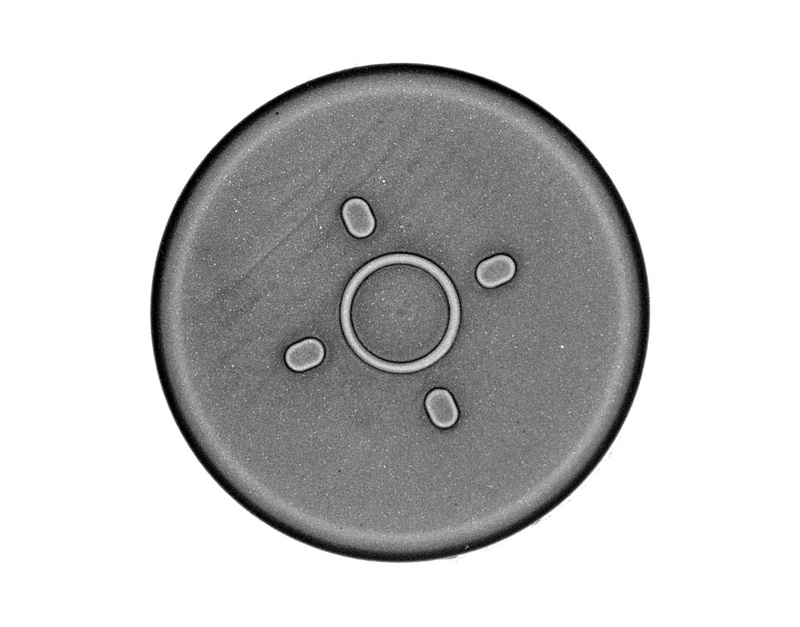 two power intensities: medium power with driving current up to 7.5 A and high power with driving current up to 17 A.
LTDMLA series features industry standard connection (M12 four poles connector), resizable aperture for the dome unit that can be drilled to increase the diameter and accommodate the optics field of view and effective diffuser for the ring light unit to avoid hot spots formation. Additionally LTDMLA series can be easily mounted and integrated into any machine vision system by means of M6 screws. 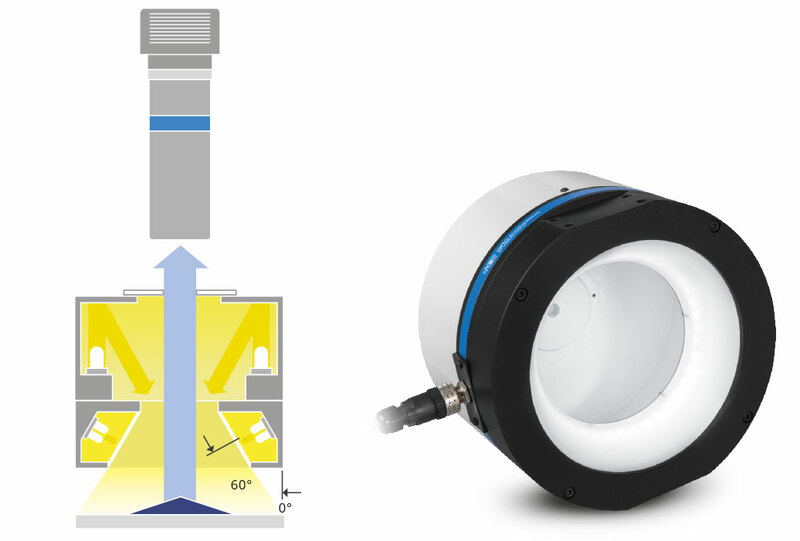 Dome unit for homogeneous illuminations and low angle unit for dark field lightning can be independently operated. Available in two sizes and two power intensities. Spectral FWHM (nm) n.a. n.a. n.a. At max working distance WD. PIN 1 and PIN 2 for the dome unit, PIN 3 and PIN 4 for the ringlight unit. 5 m cable with straight female connector included. Optional cable with right angled connector is also available and must be ordered separately (refer to our website for further info and ordering codes). It’s easy to select the right illuminator for your application: our part numbers are coded as LTDMLAxy-WW where x defines the illuminator size (B = medium, C = large), y refers to the power intensity (1 = medium, 2 = high). For instance LTDMLAB2-WW is a diffusive strobed dome + low angle illumination system - medium size, high power, dome white, ringlight white.